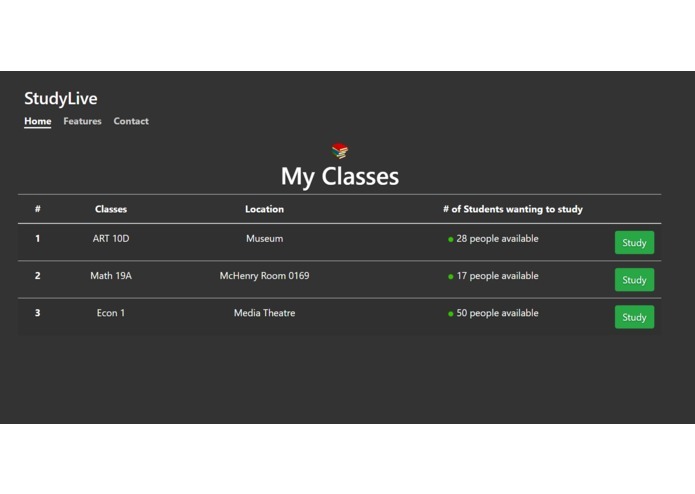 A website that lists registered people that are in your classes and are available to study in real time. We are introducing a real-time community where students have the opportunity to study with other students who are in the same class. 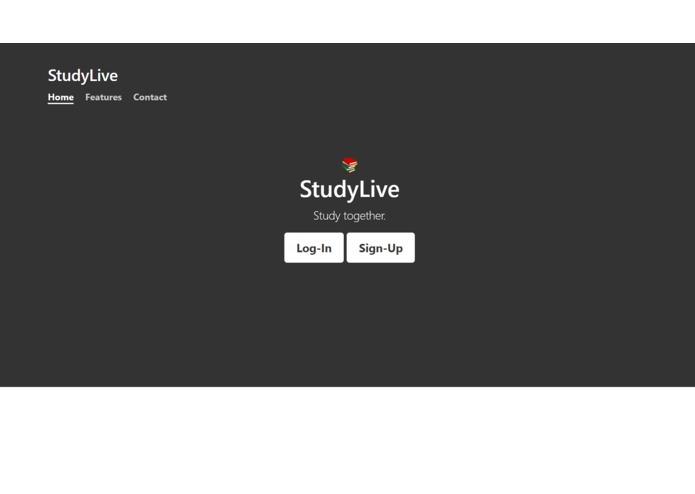 StudyLive lets you register with other students from the same school as you. 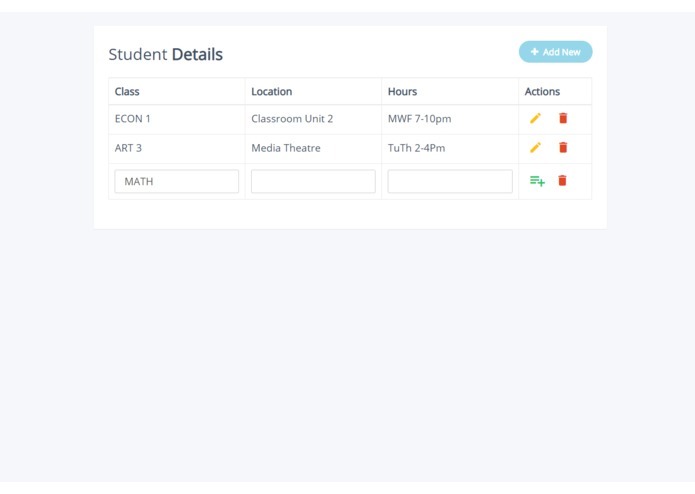 After your logged and enter all your classes in your schedule, StudyLive will show you students that are also in your class that want to study. You can then decide who you want to study with. We have never used GitHub to host our website before which was exciting. Also to be able to use a first-class domain instead of GitHub's own domain required some work to get working properly In terms of coding, most of us never learned Bootstrap or Glitch before and using these was a really surreal experience. 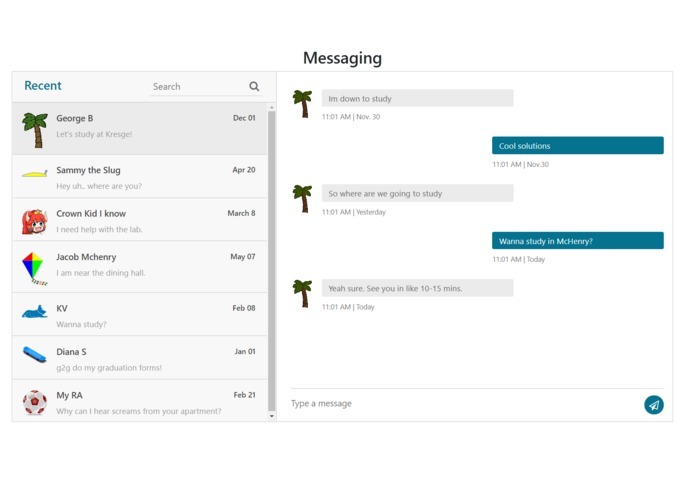 Challenges such as formatting and positioning were quickly resolved as we see each other's code real-time and were able to ask for feedback immediately rather than the old fashion having one person with the laptop do it. 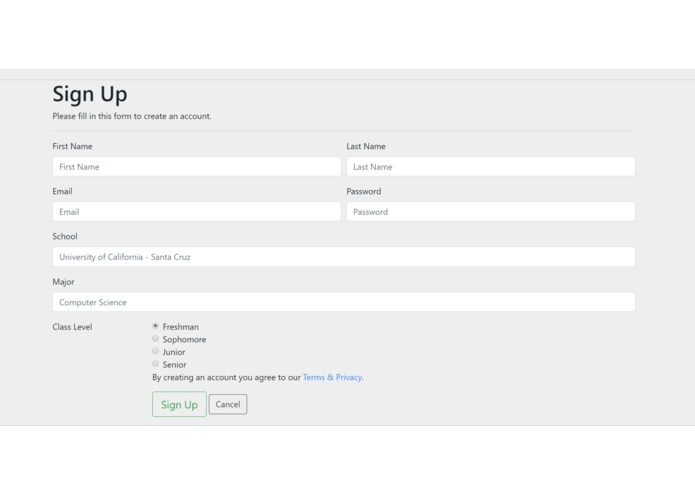 We were able to successfully launch a test website using GitHub into the internet in only a few hours which gave us more time to refine our website. Major improvements and innovation to come. 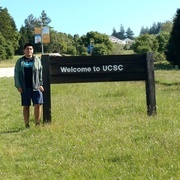 Proposed TIM Major at UCSC. 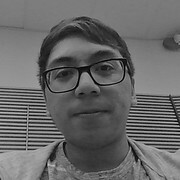 I worked on the functionality and design of the website.